Notes: NGC 2477 is probably the finest of the galactic clusters in Puppis. It contains about 300 stars, and was discovered by Lacaille in 1751. 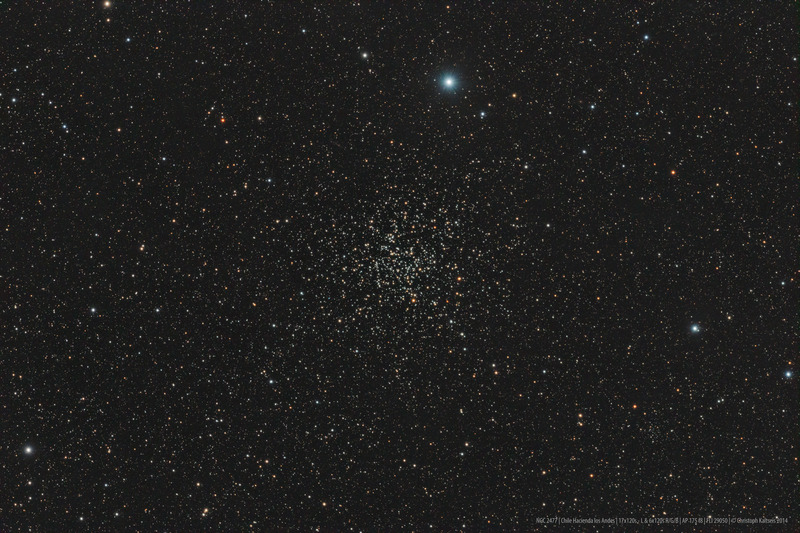 The cluster's age has been estimated at about 700 million years. North is to the bottom.